The Surge Relief Angle Valve (SRA) is an elbow body style surge relief valve that is held normally closed by a compression spring or system of nested springs. They are available in sizes 2-16" (50-400mm) and with pressure relief ratings up to 200 psi (1380 kPa). 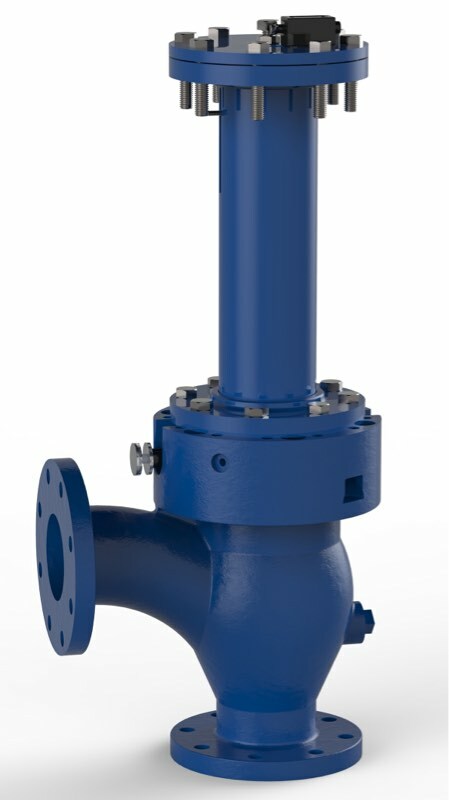 SRA Valves are available in ductile iron with seats of Acrylonitrile-Butadiene (NBR), Terpolymer of Ethylene, Propylene and A Diene (EPDM) or Fluoro Rubber (FKM). Surge Relief Angle Valves are designed to prevent damage from water hammer in the system by opening when the system pressure exceeds the set shut-off pressure of the valve disc. As the disc opens, the surge pressure rise that caused it to open is spilled and dissipated through the open valve. When system pressure drops below the set shut-off pressure, the valve disc slowly closes against the oil contained in the cushion chamber and cylinder. Surge Relief Valves are designed with a smooth flow and minimal obstruction to flow for efficient surge relief.